What are they and Why you need one?! VPN Routers are one of the most outstanding and simplistic resources we have ever found during research. During our testing with many VPN’s, VPN routers outperformed just the original/average usage of a traditional VPN. While a VPN is essential this day and age, many factors play into the VPN. How many concurrent connections, device compatibility, usage rights, ease of use, features, and much more. While a VPN is not hard to use, there are many factors that play into certain tasks that can make it grueling. Such as waiting for it to connect, being sure it’s always on, testing server compatibility, amongst other tasks. In one short sentence, a VPN router will mask and encrypt all data that passes though the router. To understand a bit more one needs to understand how shopping for a VPN works. When searching you need to check if it supports all your devices, supports concurrent connection, supports encryption methods, offers secure DNS, amongst other features. When using a VPN router, none of the above matters. As long as the provider supports router configurations, all issues disappear. The VPN router will count as one ‘concurrent connection’ and encrypt everything that goes over that network. When connecting to “My Network” every device, packet, or anything that filters into that network will have a masked IP and be encrypted. Connect computers, mobile devices, streaming devices, consoles, and anything imaginable to the router and it is all encrypted by default. 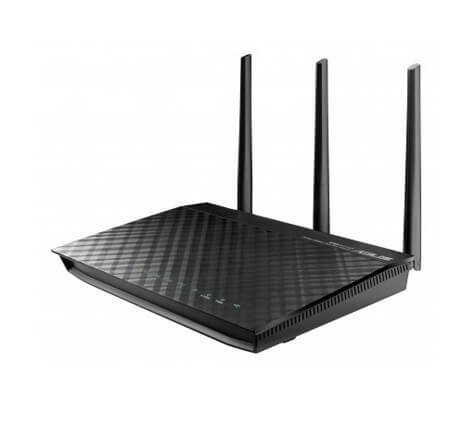 The router only has to be setup with a VPN which is a seamless task and the router carries out the tasks from there. Every device, every connection, every packet is filtered through the VPN. One can secure their home and all their friends and family connections, or just secure all their personal network connections. It really simplifies the task to connect all devices to a VPN. Especially is you have consoles, streaming devices, and whatnot, they do not all accept VPN connections, with a VPN router everything is pre-configured on the routers side. While shopping for the right VPN router for your needs, there are more things to take into account than one may think. Looking for a VPN for a router, check what to look for and what not to look for. The two biggest firmwares in the industry, which one to pick from along with pros and cons. VPNFTW.com does not retail or sell any products, we work directly with the most trusted providers in the industry to help you make the best choice!